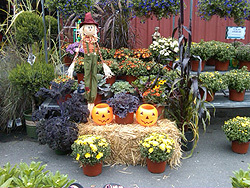 Garden Center Farmingdale, Garden Center Massapequa & Bethpage, NY | Starkie Bros.
Starkie Brothers Garden Center is a full-service Garden Center offering a wide range of products for all your indoor/outdoor gardening needs. As a kid, the owner, Butch Starkie started a landscape business with his brother, John. They bought the Farmingdale property on Main St. in their early 20’s and started a small outdoor nursery business. In the early 1990’s, the Starkie Brothers Garden Center that stands today was built and became a full-service indoor/outdoor nursery. The brothers divided their businesses in the late 90’s. John Starkie owns and operates Starkie Brothers Custom Landscaping and Butch Starkie owns and operates Starkie Brothers Garden Center. 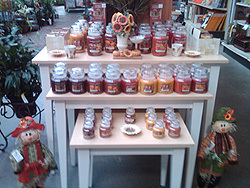 Starkie Bros. Garden Center also provides a wide variety of Departments to better suit your gardening needs! Our Staff is expertly trained, and friendly. Whether you're a gardening expert, or just starting, we have what you need and more. Having trouble with your garden, or just looking for helpful tips? Our blog has everything you're looking for.